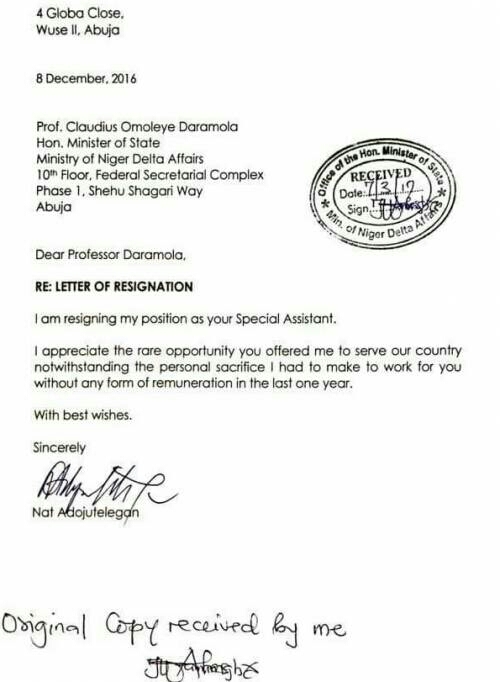 Nathaniel Adojutelegan, the Special Assistant to the Minister of State for Niger Delta Affairs, Professor Claudius Daramola, has resigned his appointment over one year unpaid salaries. His letter of resignation was submitted in December last year but was received by the Ministry just recently. In his letter, Adojutelegan stated that he was resigning over the nonpayment of his salary by the State Minister for a period of one year. 0 Comment to "Aide to Minister of State for Niger Delta Affairs resigns over one year unpaid salaries"